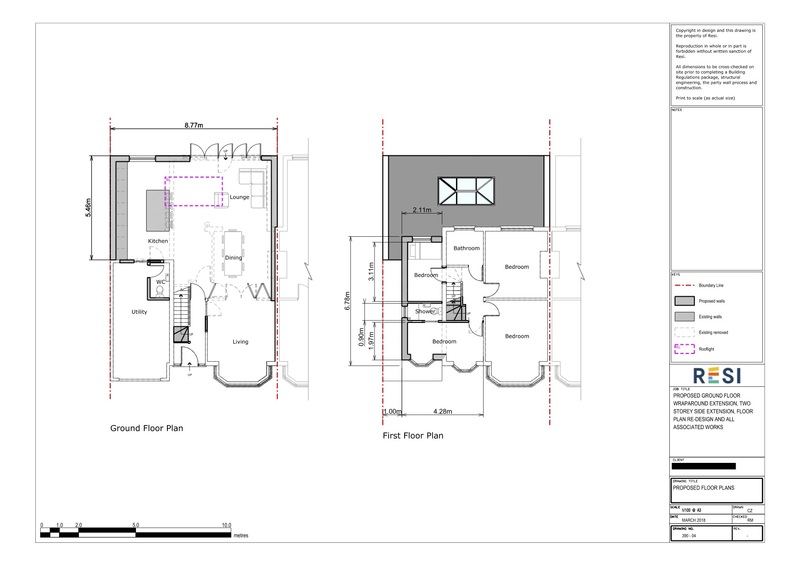 This client had had no previous luck with the planning process, having had their application rejected twice in the past. They came to Resi, hoping things would be different… and they were! This project was carried out under householder planning permission, which was granted on 23rd July 2018. 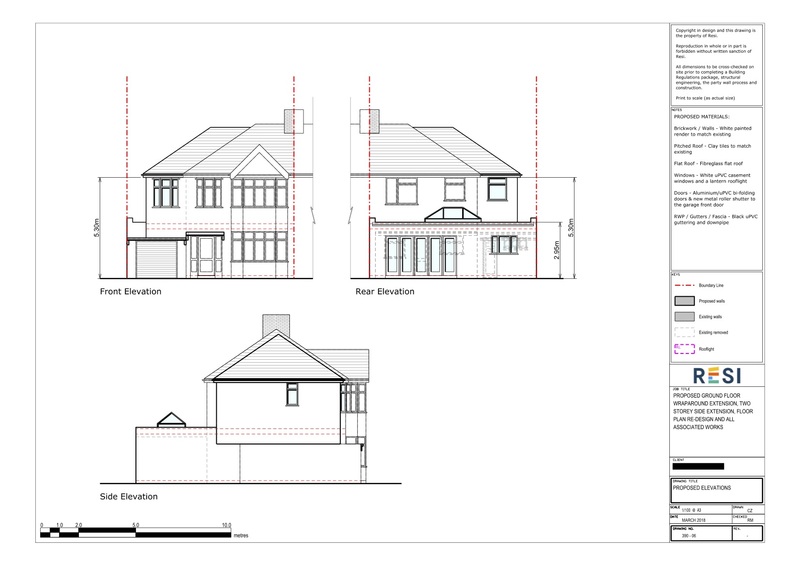 Our client was looking to build a ground floor wraparound extension, with a side extension on the first floor. They wanted to create an open plan space at the rear of the property, with a downstairs WC for any guests that came round. Similarly, on the first floor they needed a bedroom to accommodate for anyone coming to stay. Their preferred style was open plan and cosy, with lots of natural light. I removed both the external rear wall and the one dividing the existing kitchen and dining room, in order to create a large open plan space. This held a dining area, lounge, and kitchen, with a central kitchen island in order to break up the space. Not only were there floor to ceiling glass doors looking out onto the garden, but a large roof lantern sat above the kitchen and lounge in order to provide the maximum amount of natural light. This room was attached to a living room at the front of the property, which was incorporated into the open plan layout but separated by a set of bifold doors. The final change that I made to the ground floor was the conversion of the garage into a utility room, with a compact WC at the back of this room. The first floor was extended out to the side, which allowed for a fourth bedroom, and the enlargement of the existing third bedroom.